This property is king for sure as it has a creek and borders National Forest with awesome views and incredible elk and deer hunting. Perfect location for setting up base camp with your camper, wall tent, or cabin for hunting and recreating on the property and the adjacent National Forest lands. You’ll have elk and deer hunting right out your back door with thousands and thousands of acres of National Forest to hunt, hike, and explore. You’ll no doubt hear elk bugling at times right from the property. The adjacent National Forest lands have miles and miles of pickup, ATV, and hiking trails to enjoy. A spot has been leveled right next to the National Forest with the creek running by it, so it’s ready to camp or build and just start enjoying. 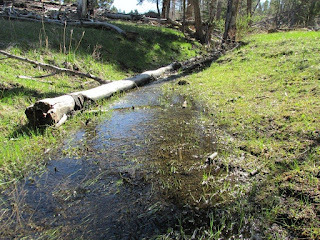 The North Fork of Girard Creek runs through the property which is one of the streams that makes up the headwaters of the mighty Clark Fork River. There are several fishing access sites close by along the Clark Fork River where you can park and take advantage of Montana’s great trout fishing. It’s also not far to the Rock Creek drainage that is known for being a blue-ribbon trout fishery. The National Forest has alot of high mountain lakes and creeks that are great fishing as well. The property has elevated views of the valley below with the Flint Creek Mountain Range and the Anaconda Pintler Range & Wilderness Area with its rocky snow-capped peaks as your view, it’s a great place to take in Montana’s Big Sky Country. There are no covenants here, just a great care-free place to get back to nature and relax in the mountains. The property sits in the foothills where its private and secluded, yet you’re only about 6 miles from a county road and 8 ½ miles to Interstate 90 where you can easily head to Butte, Anaconda, or Deer Lodge for food, supplies, and gas. You can drive to any of them in about 45 minutes from the property. The property is about 2 ½ miles from power and has cell reception if you want to stay in touch while you’re taking it easy out in the mountains of Montana. Access to the property is by a private road and the access is insurable! As far as Montana Property in the mountains with a creek and bordering National Forest, it doesn’t get any better than this and its only $70,000 for this 20 acres. Call Scott Joyner at 406-223-6039 today for more information and maps.